Waning Phases favor to let go, review, redo, and heal energetically throughout one half of your Zodiac Pie from 08 degrees Sagittarius through Capricorn, Aquarius, Pisces, Aries, Taurus and Gemini until the last New Moon of Spring 2018 arrives 13 June at 22 degrees Gemini. This last Full Moon of Spring is filled with wisdom that wishes to assist us to honor the continuing responsibility of healing our heart center and what remains in need of emotional repair and attention for our spiritual growth. Equally, our patience will once again be necessary to diligently work with our experiences so that we can take away what it is we are meant to gain from them to discover more about attaining balance, versus remaining in the divide that only continues to bring repeated lessons our way we could otherwise avoid. We are connected back once again to the overall theme of 2018’s Feeling the Feminine 11/2 Universal Year that continues to ask us to dig into the heart of the matters that need proper care and absolute honesty: allowing us all to evolve to stand further in our truth. ARIES: It’s time to focus upon release with what I Believe. Philosophies, beliefs, spiritual values, or learning you hold dear- ask you to seize this intense opportunity to reboot their synthesis. As long journeys or travel call, remaining focused on what you can do to involve your creative nature or children, provides you with wisdom to implement into this calling for healing. TAURUS: It’s time to focus upon release where I Transform. Rebirth generates strong feelings to allow you to recognize genuine wealth is not only the luxury of your overall financial picture. As the depths of your core completely regenerate, listen carefully to what your home and family life equally has to say, for your patience will be necessary for you to nurture them better. GEMINI: It’s time to focus upon release where I Relate. Let go and reconsider who is the real deal concerning your partnerships -business or personal- as plenty of decisions surrounding them will now be revealed. Utilize calm and clarity to sort out unresolved issues within your mind, for you are meant to work peacefully with it, alongside all of your communication abilities. CANCER: It’s time to focus upon release where I Serve. Reflective and renewing light shines upon your routines and service to self as well as others in this world. It is well advised this is not a time to throw caution to the wind, but feel accomplished as you achieve the goal of letting go of old habits. This holds an undeniable value that begins to unfold more security for you. LEO: It’s time to focus upon release where I Create. Completing current projects are favored as creative changes are upon you, whether they be with children, brain-children or old love affairs. Reflective responsibilities now surrounds them, which requires intent focus upon how you distinctly view your appearance to the world and your entire sense of self emerging within it. VIRGO: It’s time to focus upon release where I Nurture. Let go and move with the flow within your home and family life, involving some literal cleaning up around the house or significant things in need of repair. Equally note any sensations of déjà vu which will assist you in processing what you need to from within. You will discover that time alone will be necessary to nourish your soul. LIBRA: It’s time to focus upon release with how I Communicate. Refreshed thinking to look at the bright side of your peace of mind is beneficial focus for your healing. Honor complete reflection for your mindset and take time to write things down to explore them for their truth. Especially if these ideas concern your future goals, they are absolutely meant to be considered and require a silent listen. SCORPIO: It’s time to focus upon release with what I Have. Relinquish possessions and material things you no longer need to value, which may also be a source of how you bring in your daily dollars. This is not the time to give into frustrated feelings about what is changing, as you are favored to involve the structure of your professional life into this picture and focus upon improvements. SAGITTARIUS: It’s time to focus upon release with who I Am. Be prepared to toss away the old mask you have been wearing to the world, your first impressions of it and alter your appearance. As tired approaches to life exit -taking your time and being extra mindful will secure your success concerning what it is that you no longer need to believe, as you re-examine your truth and philosophies. CAPRICORN: It’s time to focus upon release where I Process. Honor your solitude and deeply working within allows your intuition to benefit now, so retreat away from it all. Important messages can arrive from a very activated dream state. This is a time to have plenty of your patience on hand to listen carefully to how rebirth is seeking to work with you, so it is no time to choose to resist it. AQUARIUS: It’s time to focus upon release where I Socialize. Opportunities to refresh and recharge find you placing attention upon friends, groups as well as your future hopes and wishes. Say yes to unexpected invitations to get out in the world, yet exercise caution and common sense. As you take the equal time to listen to what your partnerships have to say, they offer you sound advice. PISCES: It’s time to focus upon release where I Structure. Your career and public life resets its’ recognition and rewards, as your responsibilities here now find powerful and absolute conclusions to arrive at across the board. As you go about re-examining the structure of your life, what is also in healing play for your habits and routines seeks for you to ultimately serve them for the better. Waning Phases favor to let go, review, redo, and heal energetically throughout one half of your Zodiac Pie from 18 degrees Sagittarius through Capricorn, Aquarius, Pisces, Aries, Taurus and Gemini until the first New Moon of Summer 2017 arrives 23 June at 02 degrees Cancer. This last Full Moon of Spring brings us to dynamic conclusions requiring our courage to process our emotions accordingly. As we honor sorting through what we need to spiritually adhere to, we avoid becoming materialistically overwhelmed concerning them. Equally, not only our patience but careful listening of what we may be fearful of will be necessary to experience what is being asked of us to reflect upon the most, which may present itself as resistance at first. Philosophies, beliefs, spiritual values, or learning you hold dear- ask you to seize this intense opportunity to reboot their synthesis. As long journeys or travel call, avoid conflicts by remaining focused on what you can learn about your truth. Using your inner wisdom aligns your peace of mind. Rebirth generates strong feelings to allow you to recognize genuine wealth is not only the luxury of your overall financial picture. As the depths of your core completely regenerate, listen carefully to what your future really wants in order to receive valuable security than you can ultimately rely upon. Let go and reconsider who is the real deal concerning your partnerships -business or personal- as plenty of decisions surrounding them will now be revealed. Utilize calm and clarity to work out conflicts within your public life, and you’ll discover you have the keys to new approaches to your life. Reflective and renewing light shines upon your routines and service to self as well as others in this world. With so much healing already in play for you, this is not a time to take a gamble, but feel accomplished as you let go of old habits. Your truth aligns when you honor more time alone to listen. Completing current projects are favored as creative changes are upon you, whether they be with children, brain-children or old love affairs. A great intensity now arrives concerning them, which requires intent focus upon what wealth really means as your future goals will equally become redefined. Let go and move with the flow within your home and family life, involving some literal cleaning up around the house or significant things in need of repair. Utilize courageous responses with any environments that may have a hot head around them, especially with your partnerships and career matters. Refreshed thinking to look at the bright side is beneficial focus for your healing. Honor complete reflection for your mindset and take time to write things down you are determined to finish. Being responsible to your truth equally asks for you to listen carefully concerning your habits and routines. Relinquish possessions and material things you no longer need to value, which may also be a source of how you bring in your daily dollars. This is not the time to give into frustrated feelings about what is changing, as intuitively using your creativity seeks to strength your overall state of wealth. Be prepared to toss away the old mask you have been wearing to the world, your first impressions of it and alter your appearance. As tired approaches to life exit -taking your time and being extra mindful will secure your success concerning what’s healing at home as well as with your closest partnerships. Honor your solitude and deeply working within allows your intuition to benefit now, so honor your solitude. Important messages can arrive from a very activated dream state. This is a time to have plenty of your patience on hand to listen carefully to your thoughts and how to serve them better. Opportunities to refresh and recharge find you placing attention upon friends, groups as well as your future hopes and wishes. Say yes to unexpected invitations to get out in the world, but exercise caution and common sense. There is value your income can receive involving your creative nature. Your career and public life resets its’ recognition and rewards, as your responsibilities here now find powerful and absolute conclusions to arrive at across the board. Utilize courage as you go about examining the structure of your life, listening carefully to your sense of self and how you nurture it. We intentionally create our lives through what we feel, which in turn, directly affects our thoughts as The Law of Attraction promises. Lunar energy from above is astrologically in charge of how the messages from our human emotions play out in precise timing, always offering us the chance to evolve down here below. As we honor our emotions, we can make them powerful allies in our lives- verses ignoring the truth, missing our opportunities, and neglecting to heal whatever they ask us to focus on. Waxing Phases favor actions involving planting anew and moving forward, as energy increases throughout one half of your Zodiac Pie from 07 degrees Sagittarius until the next Full Moon at 22 degrees Gemini 13 December. This final New Moon of Autumn favors a distinct new foundation seeking to align within our lives, as it asks us to utilize our strongest intuition to properly plant it into place, requiring a true silent listen to do so. Your philosophies are amazingly alive with mysterious changes, as education and spiritual pursuits find you journeying afar to take time to honor your own growth. New truths are more than important to you right now, but you must retreat to process it all in solitude in order to properly hear them. Your most regenerative new moon of the year is here with a spiritual rebirth concerning your overall state of prosperity and sexuality. Your source energy fuels discerning feelings allowing you to truly understand wealth is not just about the money, while you equally redefine what your future goals are. It’s thrive time for your business or personal relationships, and listening intently to them is how you’ll comprehend even more. As you witness how much your observation of others holds important keys to strengthen what you need to within your career and public life, recognition and rewards are yours. Learning new ways to enhance your abilities to serve your physical self and others, your health, habits and routines now activate positive changes. There is so much more room for growth that opens for your truth as you focus implicitly on what you really believe to support this wisdom moving forward. Energetic feelings now find you in complete optimism concerning attention upon your children or brain-children. Your love of life upon your stage is perceptive with a creative flow connecting the most to regenerating your overall state of wealth, and how much it is able to stabilize it with resilience. Attentive new life surrounds your home, family and closest environments. Listen carefully to what déjà vu messages have to say. Honoring understanding holds the keys to bring strength to what is evolving concerning your partnerships, and remember logic is not meant to win over what your intuition says. Brainstorms welcome complete excitement to your state of mind, while all of your avenues of communicating are feeling good utilizing a more watchful eye. It is time to instill the habit of positive thinking and know this is the routine that serves you far better to bring balance to others as well. Giving gratitude for what you already have is the magic formula that opens new doors for you as your earning power prepares for financial gains as long as keen observation is part of the picture. See what ways your creative nature is equally meant to support you in a value you can surely rely upon. Your approaches to life seek to begin again in a complete state of examination, as the world notices a distinct change in your appearance and your attitude. As you are equally in a healing process within your home and family life, the new foundation you are establishing is one you are meant to nurture. Time in the silent listen unfolds rewards to help clear the past as you honor your solitude. Answers subconsciously speak now from your inner process and reviewing dreams hold the keys for your waking life, which helps to further support your overall communications and peace of mind. Initiating energy is more than excited to become observant of your future goals along with aligning in your certainty amongst your hopes, wishes, new friends, organizations and groups. Accept any unexpected invitations to mix and mingle, and you’ll find this increases the value of what you have. As your career now receives the recognition and reward you have been waiting for, your public life is back in the spotlight as all eyes are upon you. There are a plenty of people in the world looking at your differently, so this will not be the time to be shy about your appearances as you take it all on. We intentionally create our lives through the emotions making up our thoughts, as The Law of Attraction promises. Lunar energy from above is astrologically in charge of how human emotions play out and evolve down here below. Each month, a New Moon begins a waxing cycle favoring energy to initiate and gather up in the light until we reach the Full Moon, which marks a waning cycle allowing for completion, correction, reflection and release. LunarOScopes capture the forecast of this natural rhythm, timing when and what specific area of life your Sun Sign benefits by feeling good about what’s beginning or letting go. Waning Phases favor to let go, review, redo, and heal energetically throughout one half of your Zodiac Pie until the first New Moon of Summer 2016 arrives 04 July in Cancer. This month offers the rare opportunity of a 2nd Full Moon in Sagittarius. Our last Full Moon upon 21 May was at 01 degrees Sagittarius, and this months’ falls at the very end of the sign at 29 degrees. Our emotions will be extra charged with the request to remain graceful concerning whatever pressures may come our way. Philosophies, beliefs, spiritual values, or learning you hold dear- ask you to seize the opportunity to reboot their synthesis. As any long journeys or travel call, you may find you feel a long way from home, yet there is a new harmony unfolding here that asks you to listen carefully to your family. Rebirth allows you to recognize genuine wealth is not only the luxury of your overall financial picture. As conclusions now arrive from the depths of your core to let go and never look back, your mind is what must cooperate the most so that you can find the peace within it that is meant to become yours. Reconsider those who are the real deal concerning your partnerships -business or personal- as plenty of sensitivity surrounding them will now be revealed. There is priceless value you are able to receive, asking you to be still and make sure you are the one seeking to understand verses being understood. Reflective and renewing light shines upon your habits, routines and service to self as well as others in this world. As a potent healing process continues, keep knowing your new approaches to life are bringing you to a better place as the world is beginning to truly understand who the new you really is. Look to completing current projects as creative changes are now upon you, whether these be with children, brain-children or love affairs. You’ll find contemplative time alone helps you to understand more, as these reflections offer up harmony to help you. Listen carefully to your nighttime dreams. Allow your imagination to flow within your home life, involving some literal cleaning up around the house. Avoid over reacting with your family. Don’t resist the path of how your future goals are changing, as your hopes and wishes find plenty of balance and genuine understanding as they realign. Refreshed thinking now allows you to look at the bright side of your peace of mind. Honor reflection for your mindset- writing things down is of great benefit. Career matters also seek to be heard, and as you recognize balance aligning in your public life, you’ll understand how change can be successful. Surrender and fully let go of possessions and material things you no longer need to value, which may also be a source of how you bring in your daily dollars. As your beliefs are equally being realigned, you find peace when you allow a new educational process to take you on a peaceful spiritual journey. Energy lets go of the old mask you have been wearing to the world, your first impressions of it and your appearance. As tired approaches to life exit, a wealth of transformation regenerates you, with plenty of harmony seeking to accompany and energetic rebirth in powerful play from your source. Honoring your solitude and working within allows your intuition to benefit now, so be responsible to private time to work on the inner you. Important messages may also arrive from your dreams. Your partnerships equally seek to bring balance into this picture with peaceful ways that will relate to you. Opportunities to refresh and recharge find you placing attention upon friends, groups and your future hopes and wishes. Say yes to any unexpected invitations to get out in the world, which will interrupt your routine. These will show you harmonious ways to reset your routines and habits moving forward. Your career and public life is poised for recognition and rewards, as your responsibilities shift to find they are in a strong force of changes. With your creative nature happily included, your brain-children or physical ones that you may have, are playfully involved in the most loving and understanding ways. This two-week cycle favors to let go, review, redo, reflect and heal energetically throughout one half of your Zodiac Pie until the next New Moon of 2015 arrives in Gemini 16 June. The request to review, reflect and redo since 11 February’s actions. Mercury Retrograde passages specifically favor engaging in reflection, recharge and renew over its’ 3 week passage. To the best of our free wills’ ability, careful planning must be met so we do not start new things that we wish to have long-term success with. Mercury guides all forms of communication, thinking, mentality, movement & travel of any kind. During a Retrograde cycle, his backtracking through the Zodiac creates natural interruptions, rerouting and flux concerning these areas and within our schedules. Having our back-up plans ready to go is recommended as we anticipate change and honor the value of this natural offering to rest, reconnect, review and release. Philosophies, beliefs, spiritual values, or any higher education you hold dear all have the opportunity now to reset their synthesis and unite what stands divided. As you engage in a powerful mind reset, it is your time in solitude to process it all that is necessary, while journaling is a marvelous healing tool. Rebirth allows you to recognize true wealth is far beyond what finances represent, as this union brings conclusions up from the depths of your core. Reflection has already been on with what you value and earn, finding time now to align strength within the dreams, wishes and hopes you have for the future. You’ve been well aware of what needs to be let go of concerning your partnerships, whether business or personal. As your approaches to life continue to experience their recharge, what you unite into one understanding equally is poised to pop up true power to solidify intuition for growth in your career. You are already well aware about the habits, routines and service to your health and the world that now ask for release. This reflective passage calls you to retreat to reset your inner process, granting pure strength for a genuine spiritual journey inspiring expansion to express nothing else but the truth. Wrap up current projects as powerful creative changes are upon you, whether these be with children or brain-children. Let go of old love affairs, old hopes & future goals to allow the channel of spirit to regenerate your soul from it’s source. This one has potent power for you to feel absolutely reborn. It’s all in the right time to honor letting go and recharging so renewal can be seen within your home and family life, doing your favorite task, cleaning! This strongly reflects to make space for more changes in your career, while listening carefully is the key to unlock success within your partnerships. Let go of resistance in your thinking that is preventing you from owning your peace of mind. Once you unite your communications, you will find you can believe like never before, which will lend great strength to allow natural ways you are meant to serve others, your habits & routines all the better. It’s time to purge and fully let go of possessions and material things you no longer need to value. As your overall wealth reflects further for powerful change, this synthesis shoots the reboot to your core source energy as well, unlocking instinct within your creative nature to use your intuition even more. Energy stirs your fires up about the mask you wear to the world, your first impressions of it as well as your appearance. Old parts of your personality and worn out approaches to life burn away, as relationships ask you to listen on the home front to strengthen where you nurture in life the most. Honoring your solitude and working within is where you’ll find your toil is needed now. There is still much altering and change concerning your service to the world and your own routines, which can be calmed when you take time to write things down, and do what you can to quiet your own mind. This opportunity to refresh and release finds your focus shining upon friends, groups and your future hopes and wishes. Keep honoring the alterations as you revisit your creative courses, for these grant the strength to bring true intuition into your earning power that you’ll value moving forward. Your career and public life swim in the seas of conclusions to accept recognition and rewards, if the previous work has been done. Distractions from home may try to reroute you, yet all is part of how you are learning to become more centered as the world sees you in a much stronger and clear light. Energy completes and releases within this half of your Zodiac Pie throughout 16 June. This Full Moon lunation calling at the 11th degree resonates strongly with the presence of Mercury Retrograde in Gemini who is calling to reflect upon our duality and our innate abilities to bring synthesis to it. A lunation at the 11th degree asks us to dig even further into our emotions from this area of life and take a good look at what resistance may be standing in our way. As our Full Moon favors release, this one is fueled with letting go so that we can ultimately heal and nurture, allowing us to move forward with freedom. Not only is this Full Moon in Sagittarius nestled in a strong opposition between Mars and Mercury Retrograde in Gemini, it also closely squares Neptune in Pisces at 09 degrees. With our Sun in direct opposition to the Moon, it, along with Mars & Mercury also closely square off to Neptune. Beyond the tendency of lack of concentration in airy Gemini, the tensions will elevate even further with the multitude of planets squaring off in the mutable signs of the Zodiac representing air, fire and water as we begin another waning phase. Meditation, yoga or any form of quieting the mind, is extremely favored to combat the restless, scattered and unfocused potentials it will undoubtedly bring. Certainly this marks a time offering us the opportunities to ponder what needs to strengthen the structure between our communication quadrants of life where we experience changes the most. If one is not willing to do so, oh what resistance this lunation potentially can lock down to experience complete feelings of stagnation, delusion, deception and emotional overwhelm instead. Taking a good look at what no longer works between the Gemini, Sagittarius and Pisces areas of our lives is what now asks to clear and cleanse. 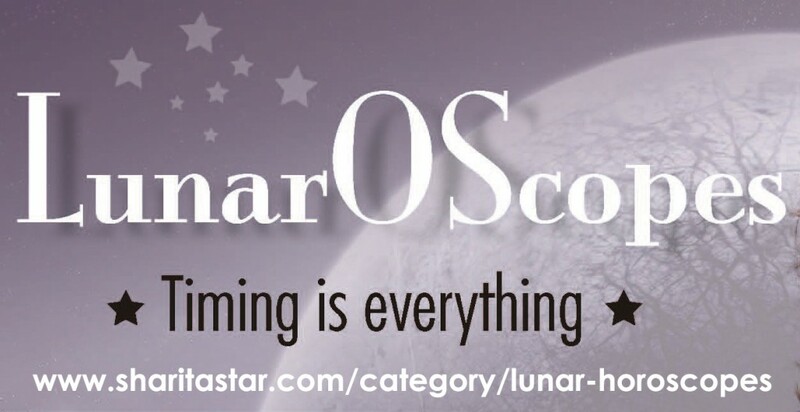 Did you receive value from your LunarOScopes? Know some else that will too? Please Be Social & Share on your favored social media below! Do you know your Sun Sign? Read on where you can expect something to release in this area of your life. 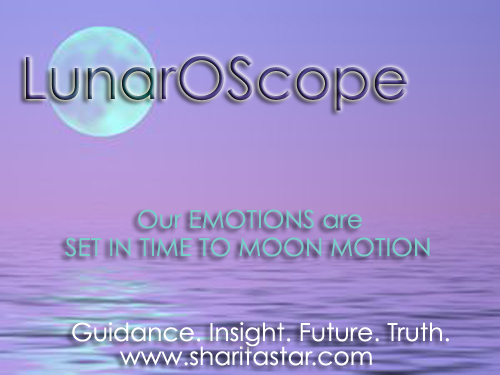 Remember with all Full Moons as they start another Waning Phase, this two-week time frame until our next New Moon 27 June favors review and redo. As we arrive at a New Moon in the same sign within 6 months, what is concluding now will make the ultimate space for new seeds to be planted in this area of the life later on. Do you know your Rising Sign (Ascendant)? This will apply to your natal charts’ advice for an even more intimate perspective. Do consult a professional astrologer to read the accurate analysis of your individual natal chart for the precise area of life where 22 degrees Sagittarius is placed in your personal zodiac pie, pointing precisely to where finalizations are unfolding. Check in with Your Birthchart. What natal planets are placed near any 22 degree points? These areas of the life will equally receive a direct line of communication from our 22 degrees Sagittarius Full Moon, asking to connect more clues as to how your reflections and releases will call loud and clear as we continue our journey into 2014. Embrace the Regeneration – Change of Friday the 13th! Check out this link and learn why this is not a day to fear nor resist! Aries: Worn-out philosophies await release for what is meant to be a part of your future where I Believe. Reflect upon traveling. However you may venture under Mercury Retrograde, pursue something that heads your pioneering spirit towards higher education, and anticipate change. Take what you are learning and submit this channel to how you nurture the home and family life. Taurus: Revitalizing your securities and financial situations asks for you to review other people’s money, investments, and resources, all where I Transform. Aim your roots deeper into intimacy, to completely illuminate and regenerate from your core, for rebirth is speaking. Taking time to balance your thoughts and be cautious where you communicate brings forth the peace you need. Gemini: People are your pleasure Mini Gem, and now it’s time to tap into which ones fit or don’t where I Relate. Whatever partnerships need repair- this is a fabulous time to weigh the pros and cons. Lingering legal agreements find conclusions. Concerns associated with how you earn, what you have and value, ask to surrender to accepting your approaches to life must be reinvented. Cancer: Intuition is spot on in telling you to improve your routine, personal habits, or health where I Serve. Changes now alter your abilities to be of service to the world, offering renewal in your routine, health and habits. Your pets may need your attention. If you feel a divide as new approaches are calling you to action, time spend in solitude will show you which wave to ride. Leo: You have conclusions arriving where I Create. Your latest adventure here now finishes, and it is wise to release any tired inspirations. Children or “brain-children” require your loyalty as will love affairs. Pay close attention to what dreams may tell you about your waking world, these answers are able to provide support to future hopes and wishes, to master your social scene. Virgo: Conclusions pertaining to your home and family life, where I Nurture come into light. Don’t react to any dramas: respond! Listen to the instinct you hear from any déjà vu, you are not to doubt it for a second- its’ message holds karmic mystery to solve. More evening the score surfaces from your groups and friends, as you acknowledge the ones that bring you solidarity. Libra: Worn out ways of thinking where I Communicate ask for you to allow intellectual desires to release, as you refresh your mentality and ideas. Siblings may call your attention now, as well as neighbors. There are clues that pertain to bringing in that balanced tone you adore so much that will to speak to your career and public life, but it will take your patience to weigh them out. Scorpio: Necessary changes to find conclusions within your values and understanding of what I Have are now on in full, equally readjusting your earning power. Your possessions also request transformation, as it is the perfect time to let things go that you no longer need. As you connect it all to what is streaming from your beliefs, you’ll find the united answers you seek for simplicity. Sagittarius: The lunar spotlight shines upon the I Am of you Dear Archer, which means slow down just a little bit to catch the benefit of these reflective energies. Old approaches and impressions to life leave you, allowing the world to see you renewed. It all feels intense as you are in the midst of an amazing rebirth from your core, but you feel wealthier than ever before. Capricorn: Strong emotions stir within the inner layers of your psyche and the unknown, where I Process. Your subconscious urges to shift your focus to toil with the most hidden parts of yourself, where your innate patience helps you to listen. Plenty of reflection will speak to what is going on in to balance your relationships, which may also visit you within nighttime dreams. Aquarius: Energy now releases from your friendships and organizations, where I Socialize, as roles and wishes seek change here. Accept that spontaneous invitation- it reveals an adventure that connects the past to the future. The toying you have done about how to serve the world, your habits, routines and health better, can equally hear the answers to find the union you seek. Pisces: Your career and public life calls for reflection as conclusions are necessary where I Structure. Your purpose, mission, and reputation ask for soul-searching, and it is in stillness that you hear your intuitive gifts. A simultaneous call wishes to unite it all to what you create, for there is a masterful creation in the works when you swim in calm waters to take in the learning. Energy completes and releases within this half of your Zodiac Pie throughout 27 June. Moon VOC: When the Moon makes its’ last major aspect to a planet before entering the next sign, it is a recognized time that strongly advises us to not be in forward motion nor make any important decisions for the future. As we welcome our second waning moon of Spring, as our Full Sagittarius Moon opposes our Sun at 22 degrees Gemini we will be asked to hold off and remain in pure reflection and review until it enters Capricorn. While any Full Moon casts the energy off for a completely reflective feel, at this degree point, we are called towards the realms of really standing in full awareness, so we can hear both sides of what needs to be mastered within this area of our life to release it fully and avoid becoming the fool. This lunation makes very complicated aspects to Jupiter in Cancer, who also just so happens to be at the 22nd degree. Our Philosopher planet is caught in quite the “canumdrum” as one might say. Jupiter simply doesn’t relate elementally nor via duty in life to neither our Full Moon nor Sun, although it is matched up mathematically with them both. Where Will You Gather Up New Feelings? Do you know your Sun Sign? This is all you need to begin to read on and see where the New Moon is bringing a fresh feel to your life. Remember if you know your Rising Sign (Ascendant), read that passage too for a deeper look, for it typically will apply to your personal charts’ advice from the natal perspective. However, it is wise to consult a professional astrologer to read the accurate analysis of your individual natal chart for the precise area of life where 10 degrees Sagittarius affects your personal zodiac pie. Those in full awareness of their natal birth chart will wish to check any planetary placements that are placed near the 10 degree points, for these areas of the life will equally receive a direct line of communication from our 10 degrees Sagittarius New Moon, asking to connect more clues as to how your new beginnings will call loud and clear as yes, we close out 2013. This is the last waxing phase we’ll see this calendar year. Remember with all New Moons, with what is initiating in this area of the life, as we arrive at the Full Moon here 6 months from now, it will have grown and developed and manifested accordingly. Both your sun sign and rising sign (ASC) perspectives are the two areas of your life that call for you to bring forth initiations and welcome a fresh feel within the next two weeks to follow. Properly embracing the new and gathering up in these areas until the Full Moon upon 17 December will plant energies in place for future use. Aries: Fresh philosophies await for you Dear Ram where I Believe. Take a long trip as action stirs you to travel, or simply expand the mind allowing your pioneering spirit to head towards higher education. You can heal some old wounds from your subconscious with this lunation, but you will have to dive deep, which then will easily open up a new approach to life for you that even you couldn’t possibly see coming. It’s time to imagine and ordain it all and truly know, you’ve got to believe to achieve. Taurus: Time to improve securities and finances Dear Bull where I Transform. Take a look at your wealth, and what other people’s money may be able to do for you. A super charged energy is at your fingertips for regeneration and focus in the intimacy department! Healing looks to structure your core from where you socialize, as you resolve old issues with friends. Still, you are finding your inner process to be tossing the unexpected at you, but on this new moon, it’s your discipline that matters. Gemini: You’ve had plenty of energy channeling where I Relate, and now it’s time to know you can move forward. Any legalities must be handled with ultimate compassion for dominion with them to reign. Business partners may cause a bit of tension, likely to dig up old issues for you dealing with authority within your career and public life. Relationships with friends find spontaneity, which might just bring some romance your way if you are in the singles lane, so be open to the love and light. Cancer: Your gut is spot on in telling you to embark on new routines, personal habits, and improvements to your health, let some light shine where I Serve! As you ignite new means of being of service to others, there is a true discipline that speaks strongly to you now. While you may find a bit of resistance letting go of an old belief to move forward, if you look to the innovative energy that is calling from your career and public life, you’ll find these fresh ways of serving will soon reward you. Leo: Lions and Lionesses, it so time to take the stage where I Create! You have nothing stopping you now from imagining whatever it is you desire to ordain, but you are asked to make sure your intentions are crystal clear. Remember it is your true creative spirit that can make you wealthier, so don’t let anyone draw your curtains down. You have a strong connection to take what you are creating and express it to the world, and you better believe this is true, or fortune may not find you. Virgo: New energy flows within your home and family life, where I Nurture. Domesticated life feels good, so imagine all that can be fortunately manifested. Déjà vu asks you to not doubt it-listen closely to the instinct you hear- as its’ message tells you more about what it is you are meant to be ordaining by applying self-discipline. Look to your partnerships to structure a new responsibility that finds you relating in love and light purely to what you truly believe, and you’ll be learning like never before. Libra: New ways of thinking are ready for you to balance them where I Communicate, as opportunities show themselves that initiate imaginative ways of thinking. Neighbors or siblings may ask for your help. This passage softens the challenge to bring through understanding of what’s coming at you unexpectedly within your close partnerships. As you equally tap into old habits that no longer serve you, your mind is a powerful tool to bring in the accountability you need to finally let them go. Scorpio: Energy now flows into your value system, further resulting in an adjustment of your earning power with what I Have. Look at your possessions to acquire something new that feels totally worth it. As you recognize the worth of something you created long ago, solidarity comes with the self-discipline you give to it. Look to the ways you are choosing to serve the world for a completely innovative view of making changes to your routines, as there is physical healing that finds you. Sagittarius: Light shines magnificently all that I Am, on how you immediately perceive life, and there is a new way the world is taking a good look at you. See what fresh approaches to life feel good, and truly engage your sense of compassion. An old memory from the home and family life finds peace and resolution. Remember all you are now creating for the first time is in it’s truest light, which you imagined long ago. Now it is manifested and it only needs your responsibility to continue in dominion. Capricorn: Your psyche and the unknown await your toil where I Process. Subconscious urges shift focus from perfection to working on the hidden parts of yourself. Best you refrain from overtime. Be silent and listen. Pay attention to your nighttime dreams. Then write it all down, for this is how you’ll heal some old patterns of thinking. The benefit from this brings in an unexpected way that your home and family life is able to feel a break-through that hasn’t been able to nurture you in a very long time. Aquarius: Blessed and buoyant energy surrounds your friendships and organizations, where I Socialize. Set new goals in your groups, with all you can imagine and ordain as well within your hopes, dreams and wishes. Accept the spontaneous invitation to socialize- it’s a fantastic door to an aspiring adventure of future importance. You’ll communicate well in the moments with people you are meant to connect with the most, which lends strength to what you value and a possible new way to earn. Pisces: The Fishes are in lively currents concerning career matters right now, as a spark allows all to move forward where I Structure. News arrives in regards to your purpose, mission, and reputation and you’re feeling totally charged. As your earning power still sees surprising changes- remember it is being completely responsible to your self-discipline that must remain in healthy channels of imagination right now in order to properly clear up old wounds here so you can manifest the new you. Energy initiates and gathers within this half of your Zodiac Pie throughout 17 December. Moon VOC: When the Moon makes its’ last major aspect to a planet before entering the next sign, it is a recognized time that strongly advises us to not be in forward motion nor make any important decisions for the future. As we welcome our third waxing moon of autumn, and last for 2013, as our New Sagittarius Moon squares Mars at 28 degrees Virgo, we will be asked to hold off and remain in reflection and review until it enters Capricorn 04 December. This Waxing Moon will be one to really tap into your talent to imagine and then ordain what it is that you truly want within your new beginnings that have all the potential to emerge from the Sagittarius slice of life. However, as the Chaldeans so profoundly understood about the energy of the 10, if discipline is not part of the picture here, then dominion simply cannot occur. As our ancient ones saw the very symbols of this combination of numbers, to be that “of LOve and LIght, which create all that can be imagined, and also contains the code: Image 10 Ordain. Image it and it shall be. Ordain it and it will materialize.” Wisdom must accompany the plans that are set into motion at this time, because otherwise, the wheels of fortune just might pass you by. There is an amazing ability with this energy to manifest incredibly powerful things through self-determination. Yet, if the mind is not carefully monitored and in the true sense of self-discipline as it does, the power to create can easily be turned into the power to destroy, the one warning about how the 10’s channel can unfold. When one’s intentions are equally backed with infinite compassion, this energy is able to personally desire just about anything into being. We’ve gathered through the last New Moon and Solar Eclipse in Taurus upon the 09 May to now take aim for release in the enthusiastic energies of The Archer. While any given Full Moon typically brings intensity to our emotions, be prepared for the energy of truth to emerge on the collective as completion arrives in Sagittarius. Coupled by the 3rd Eclipse of Spring 2013, this Lunar one holds the request for letting go and seeing defining conclusions within this area of the life, asking us to tap into our sense of freedom here and learn more about it in profound ways. The stimulation of exploration, education, philosophy, and inquiry are the natural gifts of a Moon in Sagittarius. Instincts are easily inspired- as warm and intuitive feelings accompany honorable, highly independent, and spontaneous energies. The collective is urged to embrace these favorable choices. As the Archer ideally appreciates the realms of higher learning, taking on the student role can bring fantastic rewards. The affects of this lunation wish to offer completion, finalizations, and surrender where this 03 degree, 59 minutes of Sagittarius point exists within one of the twelve houses composing the natal birth chart and from the collective vantage point. You’ll find as well, at this tipping point of a 03 degree energy, that the ability to better understand your freedom in this area of the life will be calling strongly. Eclipses always cast off a longer passing of energy whose affects can be witnessed for up to a year. Far beyond the normal two-week waning time frame, the request reflection and cleansing will find itself calling strongly from this part of the life. Once our Lunar Lady at 4 degrees Sagittarius opposes our Sun at 04 degrees 08 minutes Gemini, this ultimately presents the platform for completion. Yet, it is far too often that these energies are met with the opposite force of resistance, something that the 4’s energy can be known for as well. Steer clear of restless, superficial, diffusive, argumentativeness, unrestricted desires and rebellious reactions. With the unexpected and fiery energy of this lunation completing in a mutable sign, allowing the free will to respond with warmth, intuition, enthusiasm and inquiry will amazingly aide in handling the changes promises to bring forward. Neptune will offer up structure to this Lunar Eclipse and Full Moon as he forms a close square to it from over at 05 degrees Pisces. Again, another potential for resistance, but if we seek to understand what is asking to be felt emotionally from Gemini to Pisces and from Sagittarius to Pisces within our life, we’ll find the opportunity and reward in the foundation presenting a strength here. There will be incredible energy surrounding this transit that will ask for movement within these mutable signs to be honored. As Neptune is so directly involved, be sure to not be deceived by any changes, but as always with our Mystic Planet, taking that SILENT LISTEN will be required to absorb the call from Spirit that will be looking for the collective to pay attention to it. For the true astrology buffs, be sure to check the Sagittarius House, in particular where the 03 & 04-degree Sagittarius spots in your natal birth chart live. (A natal birth chart is determined from the time of birth, which allows a more in-depth look to equally see where some pondering is ideally meant to unfold in how the planets uniquely affect you.) Whether the collective or individual vantage point, these are the areas of life that call for you to bring forth release and conclusions within the next two weeks to follow, and as a Lunar Eclipse promises- for up to an entire year’s time. Properly embracing letting go in these areas until the next New Moon upon 08 June will make the appropriate space for the new to be planted later. Aries: Worn-out philosophies await your release Dear Ram, for they don’t fit into the belief system that is meant to be a part of your future where I Believe. Long trips are on the mind, especially reflecting upon ones past. However you may travel, pursue something that puts your pioneering spirit heading towards higher education. This can serve you greatly as you equally ignite the workings of your communications, while unraveling further mysteries and answers in solitude where you process. Taurus: Been thinking about how to revitalize your securities and financial situations Dear Bull? It’s review time here: other people’s money, investments, and resources, all where I Transform. Aiming your roots deeper into intimacy, allows complete illumination to be at your fingertips for regeneration. Rebirth is speaking from the core of your being. You have the imagination to color all your hopes, dreams and wishes as friends and groups assist you in realizing the worth of what you already have. Gemini: People are your pleasure MINI GEM, and now it’s time to tap into how I Relate. Whatever partnerships need repair- this is a fabulous time to weigh the pros and cons of the situation. Lingering legal agreements find conclusions. Seek to bring fairness to whatever decisions are to be made- it’s no time to remain split. You’ll find the intuition where your structure your public life is spot on when you unite it with how your new approaches and first impressions of life are abundantly changing. Cancer: Has something been intuitively telling you to improve your routine, personal habits, or health where I Serve? But of course your psychic powers are working wonderfully. Changes now alter how you are of service to the world, offering renewal in your routine, health and habits. Shifts here really has your inner world equally inspired to learn more and grow, as your state of solitude and where you process enthusiastically shares these messages with sorting out what you are now meant to believe. Leo: Nothing will stop you from feeling free where I Create. Your latest adventure here now concludes. Release tired inspirations. Children or “brain-children’ require your attention as will any love affair. The review and reassessment here allows a sense of regeneration to speak to your core. Make sure you connect this to all of your hopes, dreams and wishes, and see what friends and groups are going to assist you in making them all come true- someone’s money may help you along the way. Virgo: Don’t be shy about conclusions that pertain to your home and family life, where I Nurture. Should drama find your environments, especially now don’t react to it- respond! When that déjà vu occurs, listen to that instinct you hear: don’t doubt it for a second, as its’ message is of karmic importance. Abundant changes are forming the new foundation for the career that are going quite well, and you’ll find- one on one relationships are the key to understanding how you relate to it all. Libra: What’s the worn out way of thinking that doesn’t make sense for you to keep relating to where I Communicate? The intellect desires release, as you refresh your mentality and ideas. Siblings may call your attention now, as well as your neighbors. Clear up the confusion that may be surrounding how you are being of service to others and your health- this wishes to formulate with your beliefs and know that you are truly living up to the philosophies and learning experiences you prefer for balance. Scorpio: Call upon release and necessary changes will be made within your values and understanding of what I Have. This further results in a readjustment of your earning power. Deeply look at your possessions -these also request transformation- now is the perfect time to let things go that you truly no longer need. As imagination now soars from your creative nature, this is urging a structure to be formed from the core, regenerating your innate knowing to give gratitude for what comes from within. Sagittarius: The lunar spotlight this month shines upon the I Am of you Dear Archer, so slow down just a little bit to catch the reflective energies that are of great benefit to you now. There is an old approach you can let go of, allowing the world to view you in a renewed way- and this is making a new foundation equally from where you nurture- offering plenty of healing along with it. As you retire old impressions this releases understanding about how you truly relate to what you partner up with. Capricorn: Strong emotions stir within the inner layers of your psyche and the unknown, where I Process. Your subconscious urges a shift of focus from perfection- to toil with the most hidden parts of yourself. Your innate patience helps you really to listen, allowing for a wonderful opportunity to find some mysterious ideas to assist you- be sure to write it all down. All connects to let in further inspiration where you serve the world, and where you are currently improving habits and routines. Aquarius: Energy now releases in your friendships and organizations, where I Socialize. Aiming high in your groups right now allows all of your wishes in these areas to come true later on. Accept that spontaneous invitation- it reveals an adventure that connects the past to the future. Creatively, you process some true revelations that stimulate an inspiring spotlight to be able to shine upon your stage- see how this can bring more to what you have by embracing pure imagination and gratitude. Pisces: The Fishes swim closely to career matters right now, and reflection is necessary where I Structure. Your purpose, mission, and reputation ask for some soul-searching, so take up in stillness to hear your intuitive gifts. You’ll find strength if you align these with how your approaches are swimming in new waters. The fresh energies you are experiencing in your family, home and environments equally wish to aide in keeping all of your psychic waters clear and calm for clarity.